6 anime images in gallery. Tagged under Zelda no Densetsu. 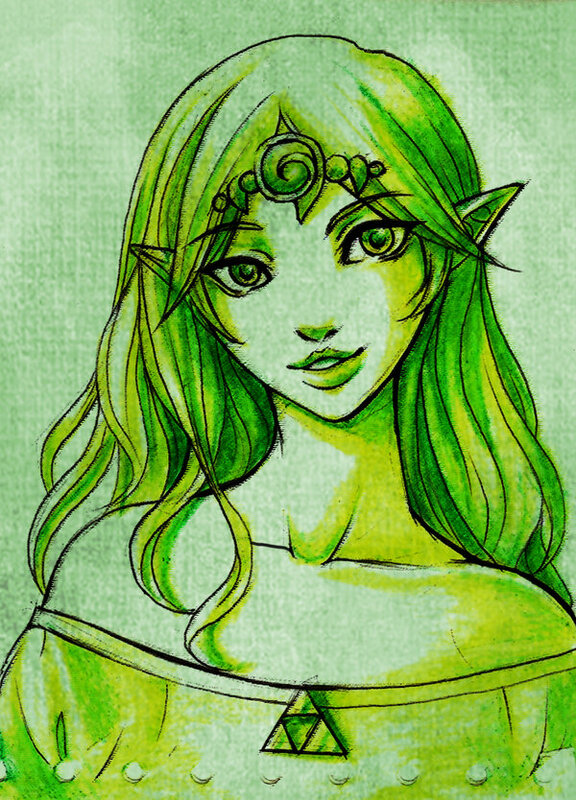 Farore, the Goddess of Courage, is a recurring character in the Legend of Zelda series. She is one of the three Golden Goddesses of Hyrule. Farore, along with her sisters Din and Nayru, came down from the heavens and created Hyrule out of the chaos the land formerly was, each contributing her part in the process. Farore, the Goddess of Courage, created the life forms which would inhabit the land. 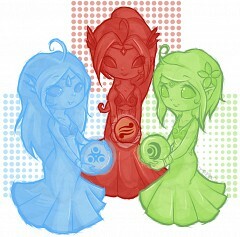 Upon departure, the three goddesses left the Triforce, the essence of their power, in the Sacred Realm. As the goddess of courage, Farore is closely associated with the Triforce of Courage.